To learn more about the background of the 2012 Farm Bill and more detailed versions of the House and Senate bill see our first recap here. Congress is currently on recess and before leaving, they did not pass a 2012 Farm Bill. Currently, the farm bill and its associated programs remain in limbo – the 2008 Farm Bill expired on September 30, 2012 and there is neither an extension nor a new bill. Some argue that the ramifications of not passing a farm bill yet are relatively inconsequential. In 2007, when Congress couldn’t decide on and pass a farm bill, they passed extensions of the current bill, which continued the same policies until they compromised and finalized the 2008 Farm Bill. However, it may be more difficult to pass extensions like this in 2012, in part because of the higher level of potential budget cuts. Additionally, because there are some policy changes both parties want to make, such as ending direct payments, it’s likely they won’t agree to extend all the current programs. So what may happen when Congress comes back into session this November? 1. The House and Senate will pass the bill when they are back in session and give it to the president. All this would need to happen in the few weeks after the election (before January 1st)- a process that normally can take two to three months. 2. A clean extension of the 2008 Farm Bill will pass by changing the expiration dates on the current farm bill. No changes will take place from the 2008 policy. 3. Nothing happens with the new farm bill and some of the laws in the farm bill would default back to the Agricultural Act from 1949. We won’t know what will end up happening until Congress reconvenes, but here is how some of the programs may fare given the various situations facing the 2012 Farm Bill. If nothing happens with the farm bill by January, prices for some commodities will revert back to 1949 parity prices. Wheat prices per bushel could go above $13 (the 2008 Farm Bill had wheat listed at less than $3) and the market value of wheat is estimated to be around $7. Wheat farmers could get almost twice the market value of wheat from the government if these prices return to their 1949 values. Additionally, dairy prices would be on target to quadruple in January. Farmers of commodity crops that were not considered commodities in 1949, such as soybeans and peanuts, would not receive guaranteed payments at all. One upside is that crop insurance will still exist for these farmers, even if no farm bill passes. If there is no farm bill, conservation grants will be cut and farmers will not be able to enroll in certain conservation programs. Since 1996, money going towards working land conservation has grown, including payments to help farmers maintain their land in environmentally responsible ways. That money would be put on hold without a farm bill and some programs have already been put on hold as of October 1st. 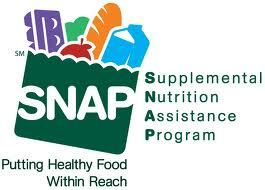 Under the House and Senate drafts of the 2012 Farm Bill the budget for SNAP benefits takes significant monetary cuts. Without a new farm bill, SNAP funding would be protected until March 2013 as part of Congress’ Continuing Resolution for Fiscal Year 2013. But because SNAP benefits are such a large part of the farm bill, it is likely cuts will be made when budget cuts take place, but it is unclear exactly when and what will be cut. Just as with certain conservation programs, various programs supporting local foods will lose funding without a farm bill. The Farmers Market and Local Food Promotion Program (FMPP) was slated for $20 million of funding under both the Senate and House versions of the 2012 Farm Bill. Supporting local food and agriculture is a way of stimulating local economies. The FMPP helps farmers enter the market and fosters direct connection between farmers and consumers. Without a new farm bill, it won’t be able to help build up local foods. There is much at stake in the politics after this upcoming election, and the farm bill is certainly no exception. While certain programs will remain funded, many programs, and thus farmers, will lose federal funding. We could potentially see a steep increase in food prices and indirect impacts from lost programs. Hopefully, some sort of farm bill will pass before 2013, but only time will tell. Lisa D’Agrosa is a second year Nutrition Communication student. She is becoming more and more fascinated by where our food comes from. Currently, she can’t get enough locally-grown butternut squash.